We used the bullseye spreadsheet to brainstorm potential marketing activities. The spreadsheet is nice as it forces you think about all possible distribution channels. It would be easy to spend days brainstorming and coming up with “what if” scenarios here. We maybe spent an hour. The goal here is to just get the ideas out there on paper. The inherit challenge is that no distribution channel exists in a silo. In reality, the success or failure of one channel will certainly effect other channels. So we modified the spreadsheet slightly by grouping some channels together. This made it easier for us to rank. We also added a “work” and “scalable” columns, to allow us to rank on the difficulty, and how potentially scalable each could be. We added up the scores from each column and sorted. 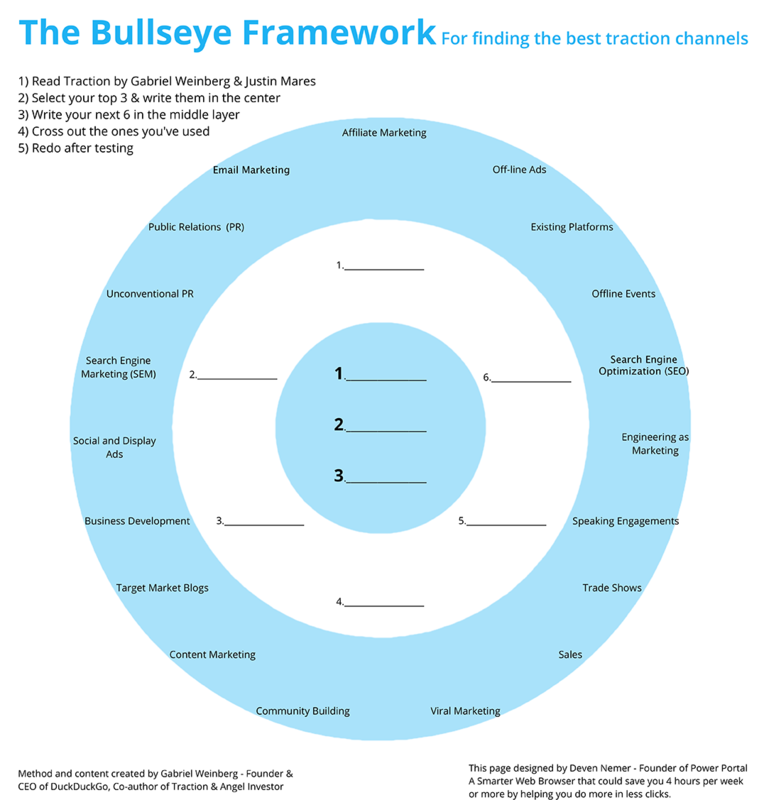 This gave us a prioritized list of where to focus our marketing efforts. Next it’s time to actually put the marketing ideas to work in the real work. Figure out what works and focus on that. We’ll see what happens.